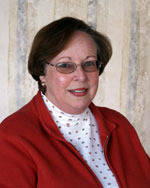 Diane Hurtuk has been the Director of Religious Education (DRE) at Holy Family since 1998. Among her responsibilities as DRE are several parish religious education programs including TEAM, PSR, Sunday School, First Eucharist and First Reconciliation preparation, Baptism preparation for older children, and Vacation Bible School. In addition, Diane directs the Access program and Operation Rice Bowl. Diane has a Bachelor's Degree in Elementary Education from Ohio University and a Masters Degree in Ministry from Ursuline College. Diane taught elementary school in North Ridgeville and nursery school in Strongsville while raising her family. After receiving her Masters Degree in 1998, she began her new career at Holy Family. Diane and her husband, Don, are native Clevelanders and currently live in Stow. They have three married children: David, Lauren and Jennifer, and five young grandchildren who keep them very busy.